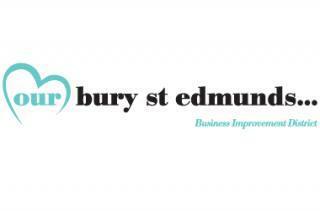 The manager of one of Bury St Edmunds’ major department stores has been appointed chairman of the town’s Business Improvement District (BID) organisation. Garry Easter, who has been manager of Marks & Spencer in Bury since April 2016, starts his tenure as Our Bury St Edmunds Chairman from this month. He has taken over from Mark Daly from Greene & Greene Solicitors who has stepped down after three years in the role and remains a board member. Garry became a Director of the BID in November 2016 and has played an active part as a board member in that time. He was unanimously chosen as Chairman by his fellow directors and will lead the organisation as it prepares to ballot members next year for a third term. With a strong background in retail, Garry joined Marks & Spencer in 2007 from Sainsbury’s. Before moving to the Bury St Edmunds store he had managed branches across the region in Ipswich, Colchester, Peterborough and Cambridge. He has also worked in other areas of the business including facilities, finance and operations. Garry said: “I joined the board of Our Bury St Edmunds under Mark Daly’s leadership and I have every intention of continuing the good work he has done for our town. Retail is a critical area of business in Bury at the moment as we are at a point of significant change. Our wonderful independent businesses are what makes this town unique but the ‘high street names’ also have an important role to play and all of us working together within the BID is key to the town’s success. Since it came into effect in 2010 the BID has provided additional services and support to businesses, beyond those supplied by public authorities. These have included major events and marketing Bury St Edmunds and all it offers. Cote serves simple, freshly prepared French food from breakfast through to lunch and dinner, daily.